Thanks to the support of the Food and Agriculture Organization of the United Nations (FAO) and the Istituto Zooprofilattico Sperimentale delle Venezie (IZSVe), the Central Veterinary Laboratory of Liberia, located on the outskirts of Monrovia, has been restructured and reequipped after several years of inactivity and may resume the diagnostic activities of rabies by the end of 2018. 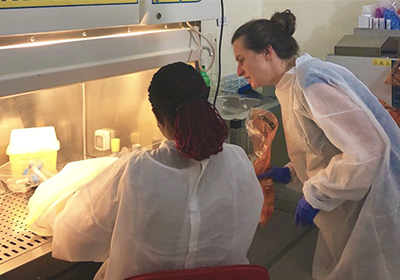 Thanks to the support of the FAO and the IZSVe, the Central Veterinary Laboratory of Liberia has been restructured and reequipped after several years of inactivity and may resume the diagnostic activities of rabies by the end of 2018. This is the result of an international collaboration project recently concluded by the FAO reference centre for rabies of the IZSVe to support the veterinary services of Liberia in the fight against this disease, which in Africa annually causes more than 36 thousand victims. Among the activities included in the project – which is part of the more general Global Health Security Agenda – there was a training course on the diagnosis of rabies organized in February 2018 at the Monrovia laboratory by experts from the IZSVe and the FAO. On site hands-on training is a great opportunity for experts to work with local staff in their own facilities where working conditions can be deeply different from which they can be in a reference laboratory. Within the large panel of advantages given by such trainings, the experts have the chance to assess and improve the quality assurance system, to advice the staff on adapted improvements to be developed and to create and consolidate a mutual understanding, key ingredient to fruitful collaboration. After 5 full days of training, the experts were able to leave the newly trained staff with great satisfaction over the work accomplished and with confidence in the future of the laboratory which now possesses in its hand the knowledge and the tools to efficiently detect rabies virus. 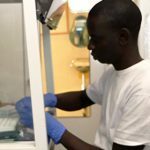 In 2017 the international cooperation activity of the FAO reference centre for rabies focused on supporting the Central Veterinary Laboratory of Ouagadougou, Burkina Faso. Also in that case, the Centre was involved in organizing a practical laboratory training course for the correct diagnosis of animal rabies. The course was followed by a seminar in which all the actors involved in the fight against rabies in the country developed a proposal for a national plan for the elimination of rabies. 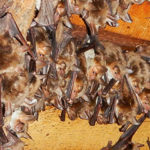 The rabies virus annually causes thousands of victims. 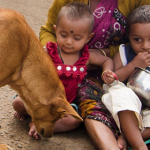 The international health authorities aim to eliminate human deaths due to dog rabies by 2030. However, progress is still slow and uneven. 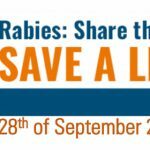 In 2017 the IZSVe also organized an interlaboratory test for the diagnosis of rabies which involved 15 African veterinary laboratories. 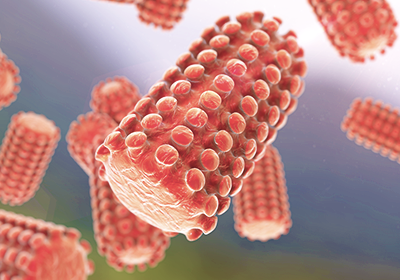 In addition to assessing the diagnostic capabilities of each laboratory, this activity made it possible to identify the state of vaccination of laboratory personnel and allowed to correct risky situations. 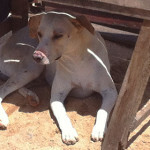 The elimination of rabies transmitted by the dog is considered a priority by international health authorities. 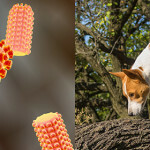 The Zero by 30 campaign – promoted by the Global Alliance for Rabies Control (GARC) and supported by the Alliance between the World Health Organization (WHO), the World Organization for Animal Health (OIE) and the Food and Agriculture Organization of the United Nations (FAO) – aims to eliminate human deaths due to dog rabies by 2030. However, progress is still slow and uneven: currently Latin America is undoubtedly the region closest to achieving this goal, Southeast Asia has set to reach it by 2020 and Africa by 2030. In this context the international cooperation activity of the IZSVe as the FAO reference centre for rabies is crucial for bringing to this countries its knowledge and expertise on rabies through the organization of practical laboratory courses, seminars and the tutoring of regional temathic networks.